The version of your browser does not support video. Please update your browser to the latest version. With The Integrated Energy System (TIES) you can perform equity volume forecasting, trading and scheduling in a single integrated system. This eliminates the on-going integration burden, saving time and reducing the risk of errors. When a new well comes online, operators have to make sure they get the best allocation to take full advantage of the first flow. The Integrated Energy System (TIES) system will send an alert so marketing will immediately see a well coming online. Many producers have a separate manual system for scheduling. This means traders can't see the latest available supply volumes at each location until manual scheduling takes place. Our solution provides auto-scheduling of volumes to the first decision point (e.g. marketing location) via user defined path functionality. This means traders have up-to-date visibility of available supply volumes at each location, on which to base their trading decisions. A producer is entitled to a certain volume allocation. However, the producer may not get the correct allocation for a variety of reasons; for example, because the operator has posted the producer's interest incorrect on the bulletin board. The Integrated Energy System (TIES) solution generates alerts to let you know when you are not getting your entitlement/allocation. If you are the operator this means that you can take immediate action to get the well back in balance. If you are not the operator, you can immediately contact the operator to ask for make-up production to enable you to get back into balance. This means that you can take action quickly to correct the situation and ensure you are always receiving your entitlements. For the meter operator that is sourced by several wells, if one well goes down the company has to cut supply to the correct downstream marketer to maintain pipeline volume balancing. The challenge for many operators is determining the proper culprit of the lost production. For the most part, this is determined in spreadsheets today. With a solution from The Integrated Energy System (TIES), volumes and ownership are fed directly into the system, which then aggregates this data up to the meter/seller level. This means the whole process is automated which eliminates the manual effort associated with spreadsheets. So meter operators can manage shipper allocations and accurately balance pipeline allocated volumes. In order to pay royalties to owners producers need to calculate netback pricing so they can correctly value their production. Royalties are typically based on selling price less cost of delivery to get the gas or oil to a marketable location. However producers often do the calculation of netback pricing in spreadsheets right now. The Integrated Energy System (TIES) netback pricing solution keeps all pricing and cost components required to generate accurate netback pricing, and can be integrated with your revenue accounting system. This simplifies your revenue bookings and the output is produced in hours rather than weeks. We also provide full Netback Reporting for owners and auditors to support netback calculations for royalty payments. Tracking of completion information for wells including well completion owner/operator data, well production management information, and well completion status information. Comprehensive deal capture for multiple deal types. Automated deal creation using product-based deal templates with a direct interface to The Integrated Energy System (TIES) front-office trading module. Orders can be management from the Whiteboard and Marketing Greaseboard. Volumes are automatically adjusted from production to deal. Gas balancing functionality that can be rolled month-to-month. Proactive balancing of shipper volumes, based on shipper reports provided by the pipeline and production data within The Integrated Energy System (TIES) solution. Automated nomination of production volumes to market areas with the ability to capture transportation cost and fuel loss. Tracking and management of complex lease arrangements across the supply chain. As products are moved, sold, and volumes/prices are actualized, the system calculates the netback price back to the meter. TIES meets all the roles for SOX compliant, provides audit trails, alerts notifications, and email notifications. Support for Volume Availabilities and Gas Balancing Statements. Creation, retrieval, processing, storage and production of documents such as invoices, confirmations, reset notices, and file data. All the data generated is compressed and saved to provide a full audit trail. Multi-currency solution delivering automatic ledger corrections and global GAAP compliance, as well as detailed sub-ledger processing and general ledger functionality. Accurate calculations of net pricing – handles simple to complex multi-leg scenarios. Slimmer operating margins means producers need to pay more attention to new well connects, particularly when wells first flow. 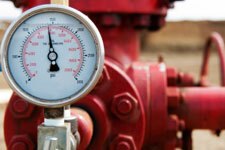 Pressure on operating costs is driving a renewed focus on processes and efficiency. Disputes over royalty payments and compliance issues continue to occupy attention and resources. TIES, The Integrated Energy System, provides a complete solution for Producer Services – from supply forecasting, contract management, lease management and gas balancing, to marketing/seller arrangements, meter allocation, scheduling and logistics, right through to position management, netback pricing and accounting. Automated alerts ensure you are taking advantage of volume allocation at first flow when wells and meters come on line. You can set up the system to inform you when you are not receiving correct entitlements, to quickly get a well back in balance. If you are the meter operator, you can manage shipper allocations and accurately balance pipeline allocated volumes. Our TIES solution provides auto-scheduling of volumes to the first marketing location, ensuring that traders always have real-time visibility into equity volume positions. With our solution you forecast equity volumes, trade and schedule in one integrated solution – eliminating the on-going integration burden associated with separate systems, saving time and reducing the risk of errors. Finally, we do accurate netback pricing within TIES and provide full Netback Reporting for owners and auditors, to help avoid costly disputes around royalty or compliance lawsuits.